As the last snowstorm exits into Canada, the next one is right behind it. It will be the second storm in a parade of 4 storms. A strong one for the middle of the week, then a weaker one for late next week. 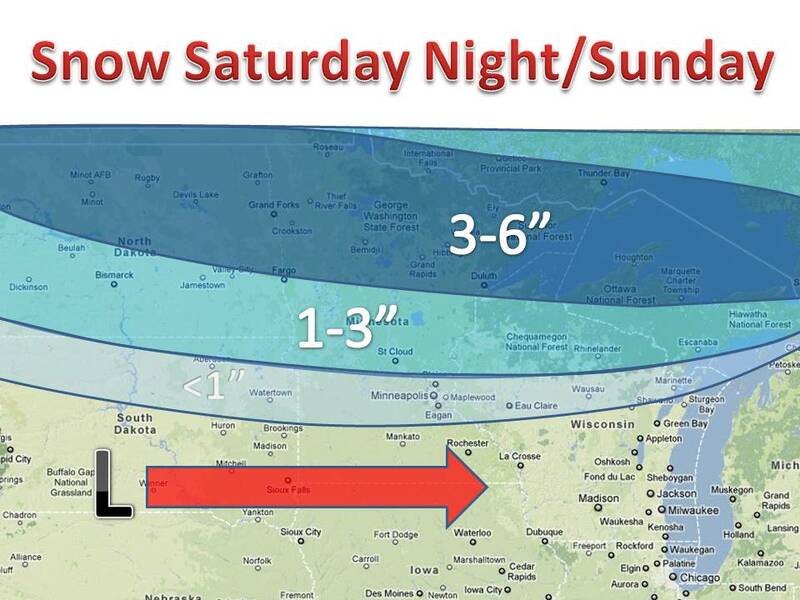 With that said, this weekend's storm will be mostly if not all a snow maker. 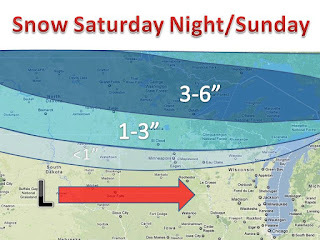 A general 3-6" can be expected in many areas in the northern plains with up to 7 fluffy inches in northern North Dakota. Be sure to keep it here for updates on the storms for the coming week!